The Office of Business and Auxiliary Services oversees the administrative and management activities for major auxiliary service contracts and campus auxiliary services at the College of Charleston including those listed below, as well as: CARTA and campus vending. Additionally, the department is responsible for administering campus insurance, leases, lease outs, and the Spoleto contract. 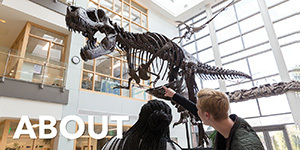 The Office of Environmental Health and Safety is responsible for ensuring that the College provide a safe and healthy work environment for employees and students. In addition, this office endeavors to prevent or reduce worker injuries and public risk through the planning and guidance of work operations and facility modifications as well as follow through on incidents and complaints. The office also ensures compliance with safety and environmental regulations that affect College operations. In order to support the institution’s vision for academic excellence, the Office of Facilities Planning is responsible for developing and implementing the long-range facilities plan, including property acquisitions, new construction, and major renovations. The Office of Fiscal Services provides leadership and direction in planning and developing goals and strategies for the most efficient use of institutional funds and other resources, enabling the College to pursue its broader mission. Personnel in this office advise and assist the Executive Vice President for Business Affairs on matters related to the business management of the College. This office also coordinates and manages the College’s financial matters, including general operation, capital projects, grants and contracts, fixed-asset accounting, accounts payable, billing of all charges and receipting of all income, collection of delinquent accounts, and payroll functions. The Office of Government Relations is responsible for communicating the needs of the College to the political leaders at the local, state, and federal levels as well as community partners. The Office of Human Resources provides resources to College employees, hiring managers, and prospective employees. The Office is responsible for coordinating benefits, compensation, classification, and training and development for College personnel. 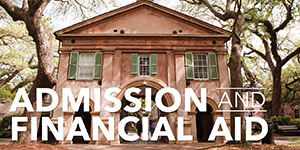 The Office of the Internal Auditor assists the administration and members of the College of Charleston Board of Trustees in the effective discharge of their responsibilities by furnishing them with analyses, appraisals, recommendations and information concerning activities reviewed. 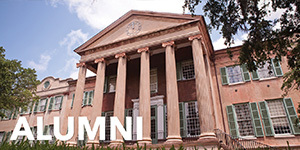 The Physical Plant is responsible for the construction, renovation, operation, repair, and preventive and routine maintenance of over 100 facilities and extensive grounds of the College of Charleston. 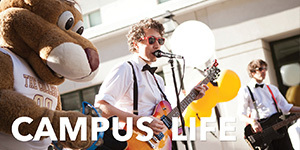 Residence Life and Housing is responsible for all College dormitories. The Office of Procurement and Supply Services ensures that all transactions by faculty, administrators and staff, including purchases, leases and rentals of goods or services, are conducted in compliance with state regulations. In addition, this office manages the College’s inventory and supervises the purchasing card system. 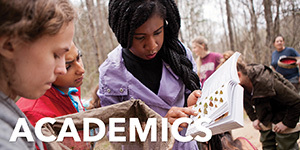 The Office of Sustainability is the hub for teaching, research, and practice of sustainability on campus and in the greater Charleston community. The office is a decentralized network hub designed to facilitate and expedite transformation of campus buildings, designs, approaches, and behavior/attitudes on sustainability issues.